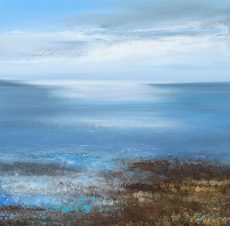 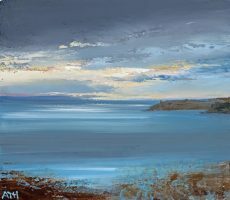 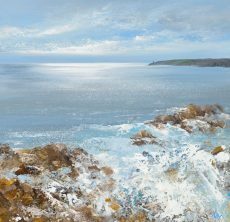 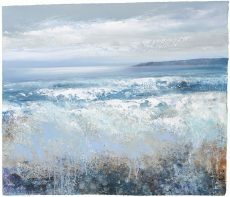 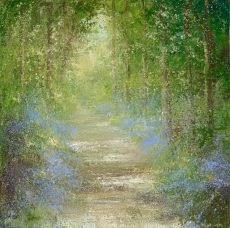 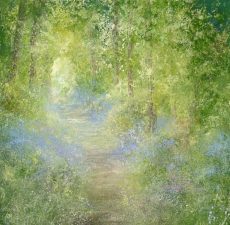 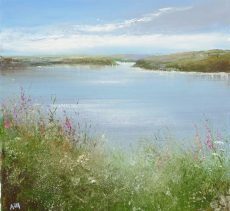 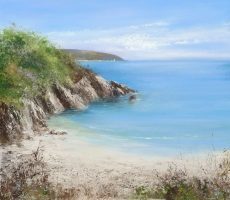 Artist Amanda Hoskin was born and grew up in Cornwall. 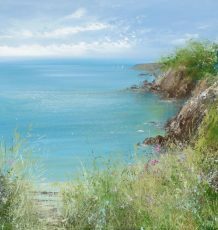 She graduated from Falmouth School of Art & Design and became a freelance wildlife illustrator, working and living in London. 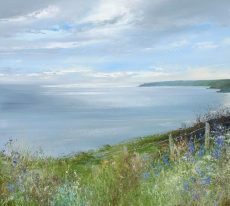 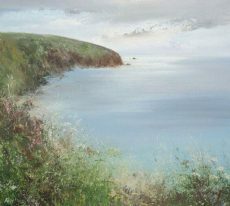 However, the beauty of the South West coast soon brought her back home and she returned to Cornwall in the early 1990s. 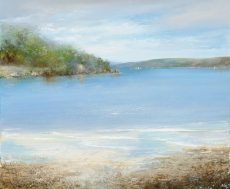 She initially worked as a sailing instructor but continued to paint in her own time. 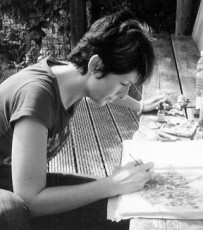 Her style became much freer than when she was an illustrator. 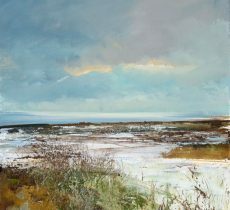 She began to concentrate on the changing skies and landscapes around her and developed her technique, moving into oils from watercolor. 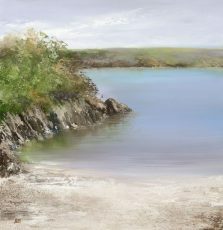 Eventually she round her own unique voice. 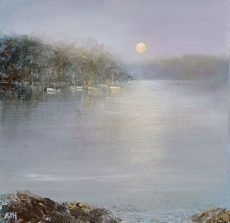 Having found her artistic voice, it wasn’t long before Amanda achieved commercial success. 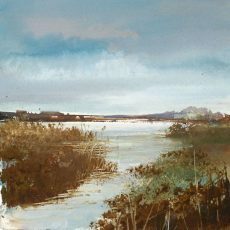 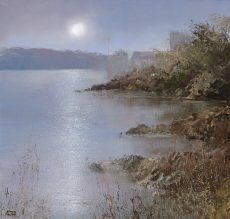 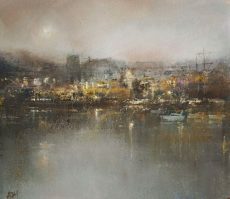 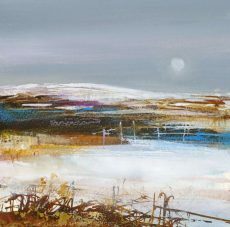 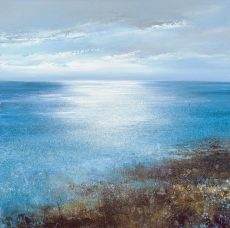 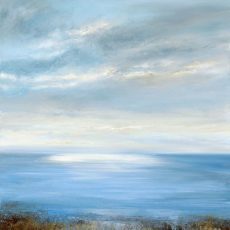 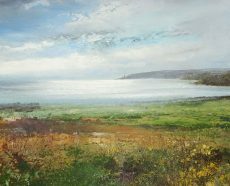 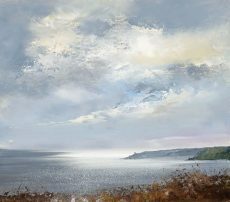 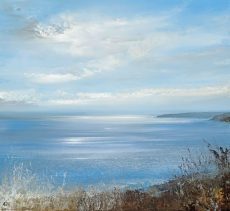 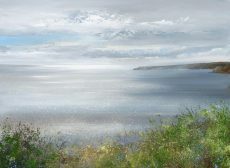 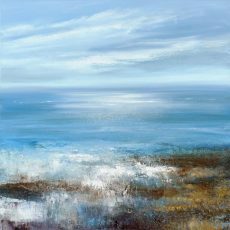 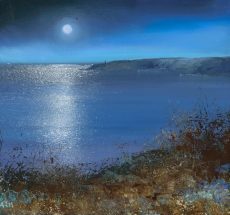 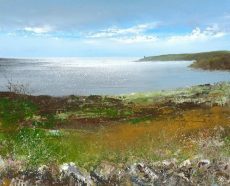 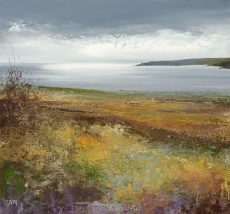 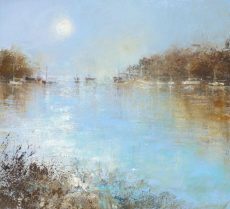 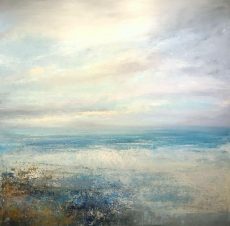 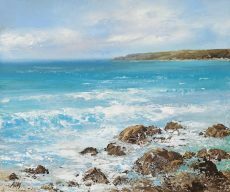 Now a full time artist, she has built a reputation for her beautiful, atmospheric paintings of the coast. 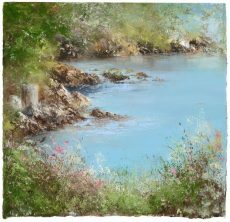 Her work combines technical mastery with fast, loose and expressive use of paint. 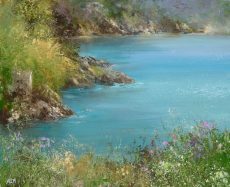 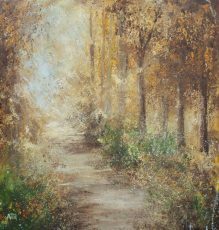 Every painting captures the light and mood of the landscape that she knows and loves so well. 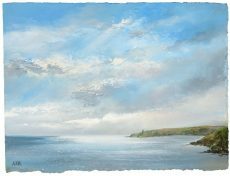 The South Hams is always a favourite location for Amanda. 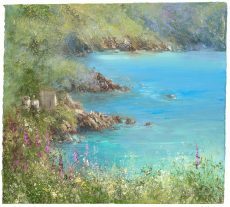 She regularly walks the coastal path from Dartmouth to Start Point finding inspiration at every turn. 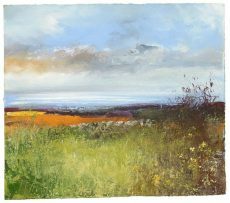 You’ll spot many familiar views in her work. 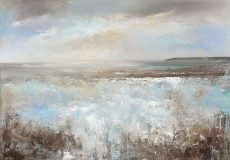 We have new work from Amanda throughout the year and hold regular solo shows featuring her paintings. 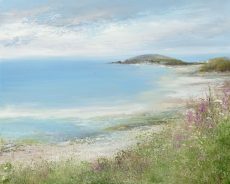 Our next solo exhibition of beautiful new work by Amanda is scheduled for Summer 2019.